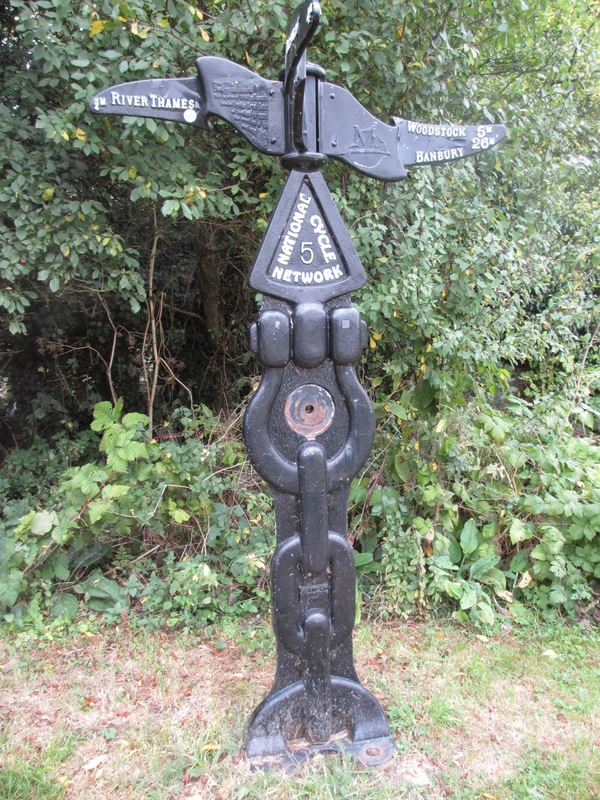 SUSTRANS signpost by the junction of the Oxford Canal and Dukes Cut. We went canal boating in England recently. It was 50 years since Judith left her alma mater and she decided to take part in an alumni weekend. Rather than travel there and stop in a hotel or B&B over the weekend we decided to take a houseboat along the Oxford Canal. We moored at Kidlington just north of Oxford and Judith cycled into the city on a Brompton. 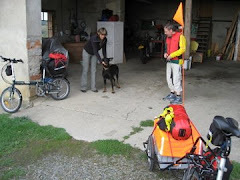 She found that even within the urban area that the towpath was not easy to follow on 16" wheels. A day or two later while heading north we noticed a pair of mountain bikers following the towpath. They too had difficulty and got off to walk on several occasions. It is a pity that SUSTRANS cannot improve the towpath. It is not its responsibility unfortunately and the Canal and Rivers Trust (CRT) the charity responsible for English waterways is probably more interested in keeping the locks and bridges along the canal well maintained. It could be argued that as one of the CRT's missions is to offer leisure activities on the canals and rivers that better cycling facilities should be made available.